Joe Osborne urged the outgoing students to "inspire others"
Graduates of 2017 L-R: Michael Smith, Hannah Marks, Alayna Cullen, Mary Ellet, Carrie Hu, Trish Bowman, Jackson Buchanon, Lauren De Arias Huep, Britney Dixon, Conrad Bandoroff. 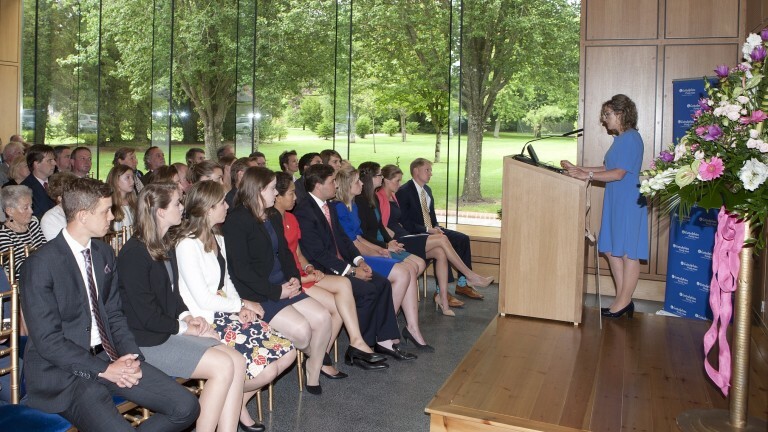 The Godolphin Flying Start journey for the class of 2015-17 came to an end last Friday evening with a graduation ceremony held at Kildangan Stud. 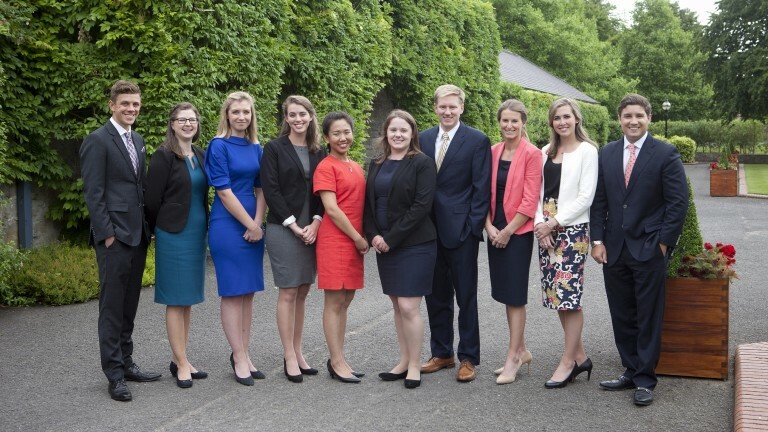 The friends and family of the graduates were joined by industry leaders including alumni Mick Flanagan and Cathal Beale, the new Irish National Stud chief executive. Graduates of the course now number 152 since the course's inception in 2003. Course manager Clodagh Kavanagh spoke of the increased emphasis on innovation and creativity within the curriculum. She also stressed that success on the scheme was dependent on strong levels of academia, horsemanship and personal development. She continued that the education of the graduates was ongoing through professional development courses and an alumni association, which is currently being established. Godolphin chief executive Joe Osborne also addressed the room urging the graduates to use their education to “inspire others”. Godolphin UK and Godolphin Flying Start director Hugh Anderson presented the graduating trainees with their diplomas from the University College Dublin Michael Smurfit Graduate Business School, the only business school in Ireland to make the Financial Times’ rankings. 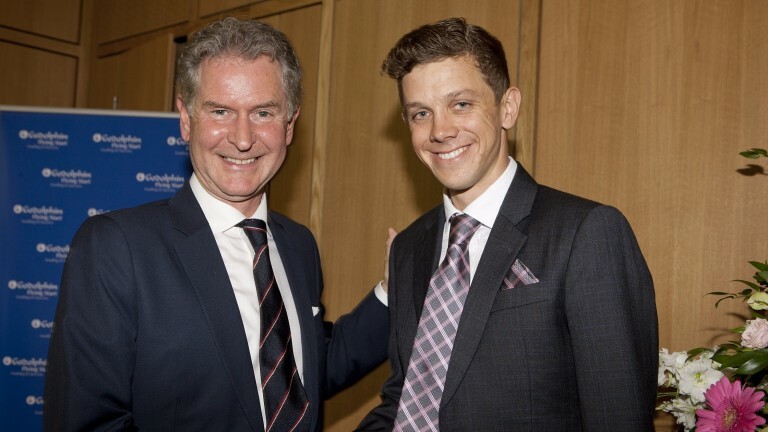 Californian Michael Smith received the accolade of top trainee of 2017 having graduated with distinction while the remaining graduates all passed with merit.